Mark Twain once said that golf is a good walk spoiled, but here's a way to turn that around! 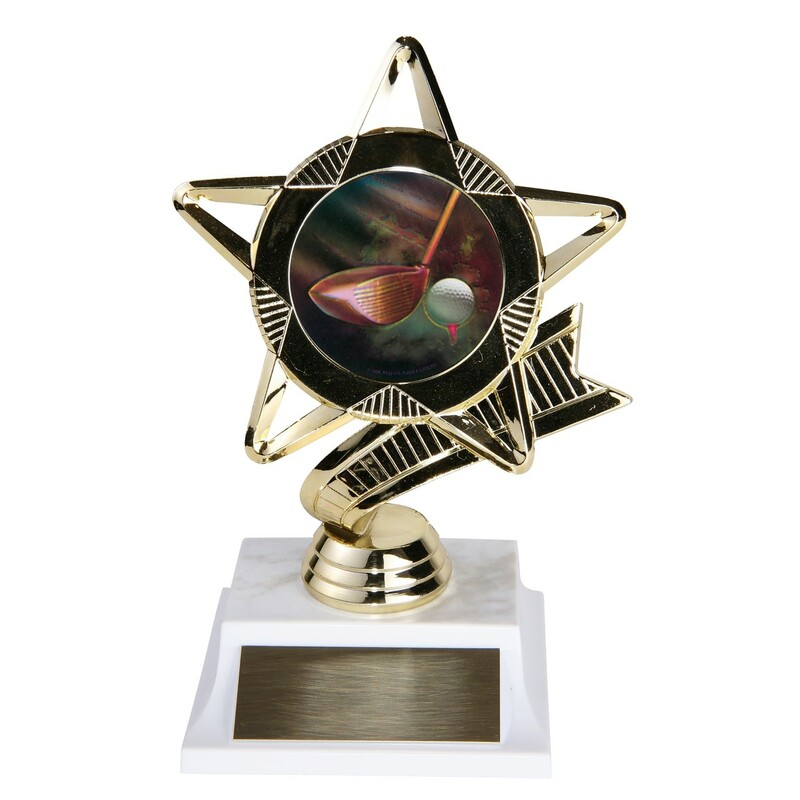 Make your tournament the talk of the town, not an afternoon wasted, with the Gold Star Tee Shot Golf Trophy. This trophy will shine, and give those golfers the inspiration they need to shave a few strokes off their game!